Infrastructure is integral to the continued development of a growing city – after all, you can’t build houses if you don’t have adequate water pipes to service them! In order to facilitate the growing nature of Townsville, the Council commissioned an upgrade to the sewerage and water mains last October. While in other cities you can sometimes see these sorts of upgrades end up taking far longer than expected to complete, disrupting residents far longer than necessary. However, the Townsville council and builders have proven themselves to be of both accurate and timely work, as the infrastructure upgrades have now finished on Stanley Street. “Council is now finished with this package of works right on schedule and two way traffic will once again be back on the section of Stanley Street between Sturt and Flinders Streets,” said Townsville Director of Water and Waste Keith Parsons. So what does this mean for investors in Townsville? While it may seem like a small change to the landscape of Townsville, the $43 million CBD Utilities upgrade (of which Stanley Street was a part) is intended to help provide new developments to the CBD’s target of servicing 30,000 people by 2030. New infrastructure means that it will be far easier for developers to build new businesses, housing and amenities. This will result in the town becoming far more attractive to fresh residents and likely improving the value of those properties nearby. You can bet that as this infrastructure project finishes, you will see far more interest in the Townsville area as more residents and businesses are supported to succeed. Looking to invest or buy in Townsville? 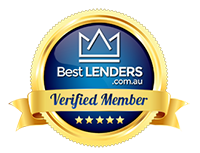 Get in touch with a local mortgage broker and find out what kind of borrowing power you have! Previous PostHow do I avoid underquoting as a buyer? Next PostShould your first property be an investment?